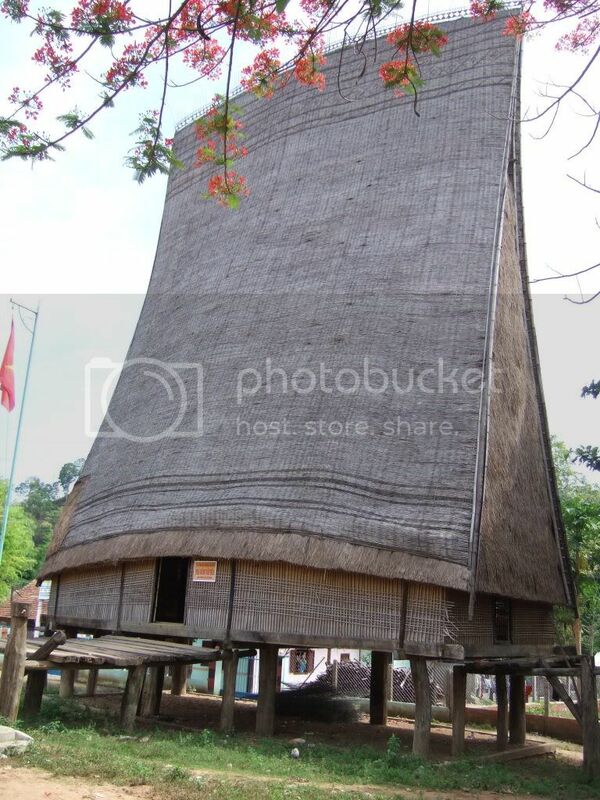 It is a large, imposing, beautifully decorated stilt house built in the middle of the village. It is where community activities take place, reception of guests, meetings, wedding ceremonies, or praying ceremonies. It is also the place for reception of guests. Each ethnic minority group has specific architectural style for designing and decorating the Rong House. However, most Rong Houses share common features. In the village, it is often the biggest house roofed with yellow-dried gianh leaves and having 8 big wood columns. The roof of a rong is incredibly steep and tall, like the blade of a hole. In front of a rong stands a balcony. These stilt houses serve as communal halls. The rafters are decorated with patterns of bright colours, depicting religious scenes, legendary stories about ancient heroes, stylized animals, and other familiar things of the village life. The most salient feature of the décor of the Rong House is the image of the brilliant God of Sun. The Rong House is a symbol of the culture of Central Highlanders, an age-old and stable culture. The bigger the house, the wealthier the village is. It is a pride of local people, also a great tourists attraction for its imposing beauty as well as its traditional value.